If you want to build a robust and well-architected software for your business a Classic ASP to ASP.Net Migration is essential. Typically, legacy ASP applications were built using VBScript interfaces with backend Access databases. Microsoft has redirected development efforts away from VB/ASP/Access to ASP.NET and SQL. In order to adapt to evolving business needs, organizations often require extensive redesign and development. If you are looking to update your current legacy ASP-based application, the only sensible option is to migrate from ASP to ASP.Net. Macrosoft’s ASP migration experts lead you to quick results with a proven methodology and an advanced skill set. Applications that have made the ASP to ASP.Net migration show increase in performance, scalability, and reliability. Fortunately, most legacy ASP functionality can co-exist with ASP.NET. This helps make a gradual transition from one to the other without a loss of application functionality. During an ASP to ASP.Net migration, both applications can exist on the same server. 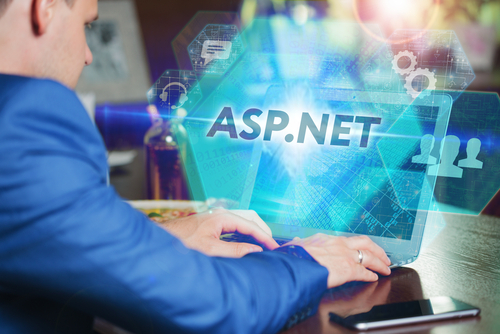 The .NET framework supports multiple object-oriented and scripting programming languages– like Visual Basic, C# and Perl. Macrosoft’s ASP migration team is well versed in these technologies and has an in-depth understanding of .NET, as well as legacy ASP syntax. We have a successful track record in both environments to make the transition fast and seamless. Macrosoft guarantees scalability, reliability, and performance of your Web/Windows application. Macrosoft employs a highly professional team, experienced in ASP/VB/Access, as well as ASP.NET, Visual Studio, SQL Server and the .NET framework. Equally strong, is the list of clients for whom Macrosoft has developed applications in the .NET framework utilizing Visual Studio, SQL Server, Access and Oracle. Macrosoft ’s team of software engineers has been successfully developing in this environment for years, as a Microsoft Gold Certified Partner. Macrosoft helps our clients move from legacy applications such as Classic ASP to ASP.NET with a solid Microsoft .NET framework.